1.6 modes Tactical flasholight:This Led Police flashlight is Small but well managed. It has 6 modes and you could use it in any way. 2. 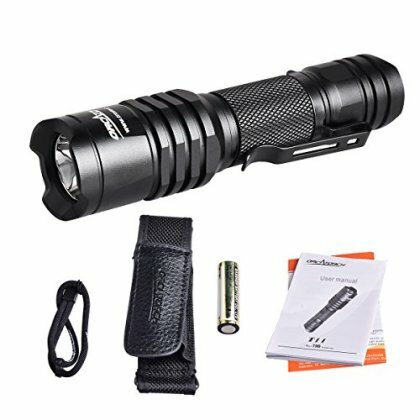 Compact & Reliable EDC flashlight:ideal for military, army, law enforcement, firefighters, police, emergency, security, hunting, camping and other outdoor activities use. 3. Improved circuit design: makes the brightness difference between High and Max mode more obvious. 4.Use avaliable AA battery:The economical and readily available AA battery makes ORCATORCH T11 flashlight a better choice for you to use everywhere. 5.Portable Led Torch:You could use the Water Resistant led flashlight for Outdoor Sports and Indoor Activities , such as Riding, Camping, Hiking, Hunting , etc.